The RareVoice Awards is an annual celebration to honor advocates who give rare disease patients a voice on Capitol Hill. Patient advocates, industry executives, and Congressional and government agency staff gather to honor these outstanding advocates for the rare disease community. This is a widely attended public event. 2019 will mark the 8th year of the RareVoice Awards, which will be held December 4th at the Arena Stage in Washington, DC. Nominations will open in the Spring of 2019. Award recipients are chosen by committee from nominations received from the rare disease community. Awardees receive an “Abbey” statuette commissioned specially for the RareVoice Awards, and named for Abbey Meyers, founder of the National Organization for Rare Disorders (NORD). 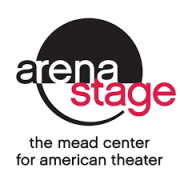 The event will be held December 4, 2019 at the Arena Stage in Washington, DC. There is no cost to attend the event in order to permit Members of Congress as well as Congressional and governmental staff to attend.